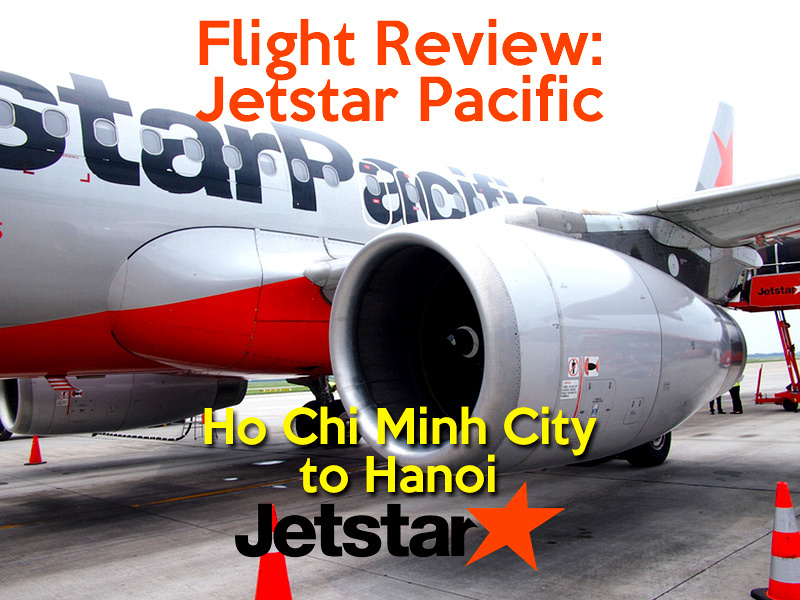 I flew with Jetstar Pacific from Ho Chi Minh City to Hanoi. This is a competitive route with several airlines flying every hour of the day, so it is reasonably easy to find a good deal. I searched for flights with Skyscanner.com, which shows all the flight options between the two cities. 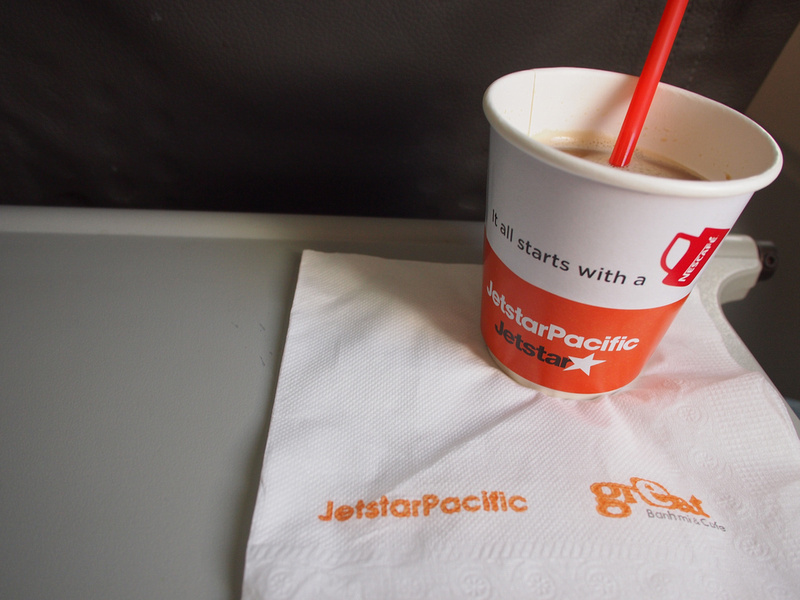 I ended up with Jetstar mainly for the price and time of day. 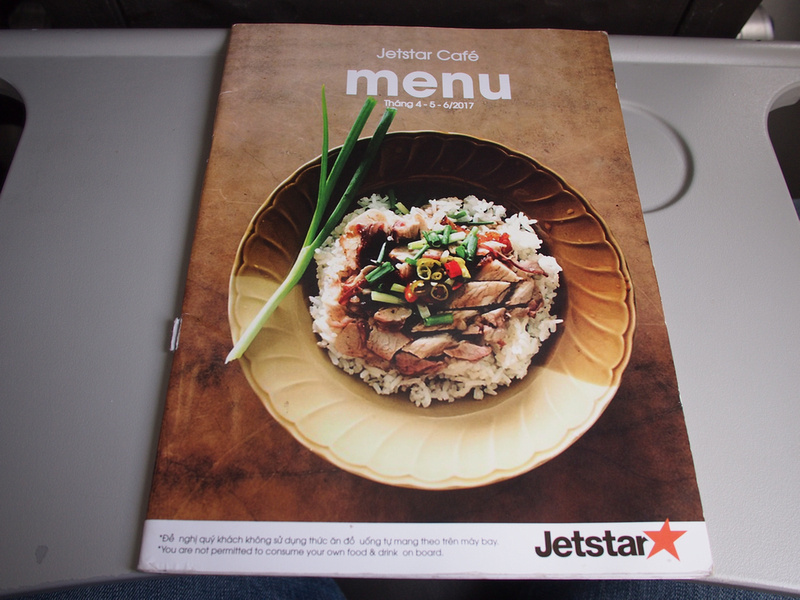 I have flown them before from Hanoi to Ho Chi Minh City, so I knew what to expect. 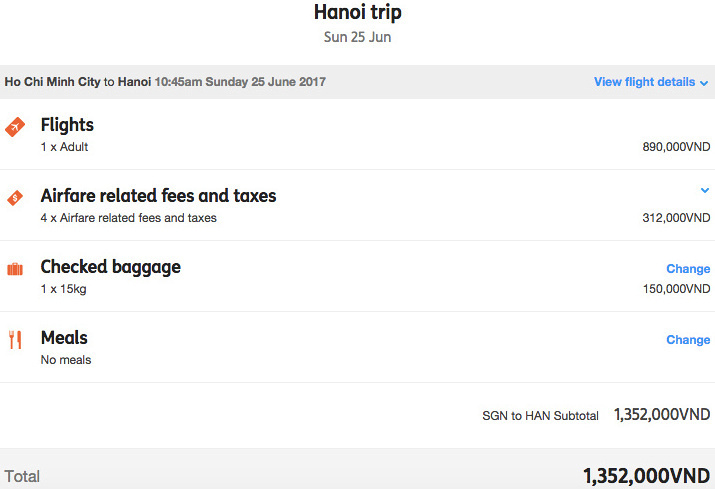 Once the fess, taxes, and baggage allowance was added, my flight worked out to about $60USD. Originally my flight was booked for 10.45am, but then I got an email that the flight time had changed. They gave me the option to pick different times, so at least it wasn’t too inconvenient. 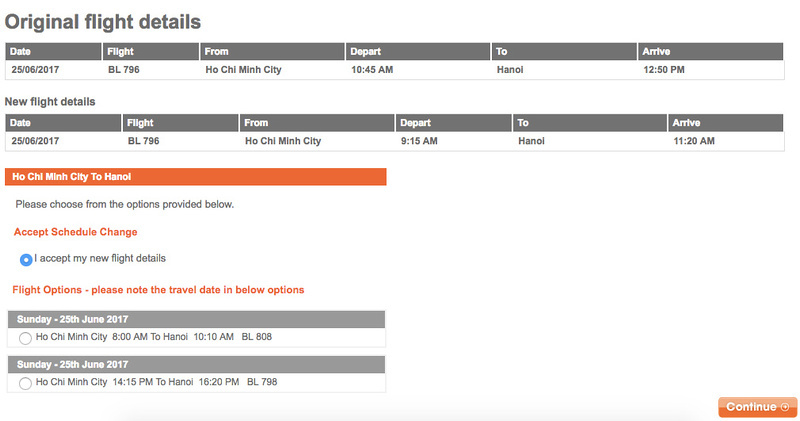 I’ve had flight times changed from Hanoi to Saigon on VietJet as well. Perhaps with so many flights between the cities there are more cancellations than usual. 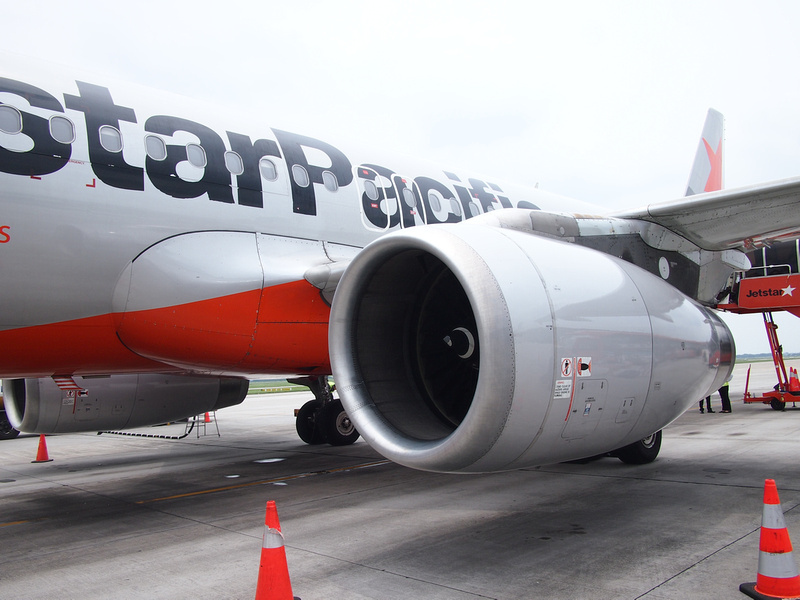 Jetstar Pacific allows online check-in for domestic flights in Vietnam. I didn’t book a seat when I bought the ticket, so when I checked in online I had no control over what seat I got. For short flights I prefer a window, so I lucked out on this occasion and was allocated an F seat. 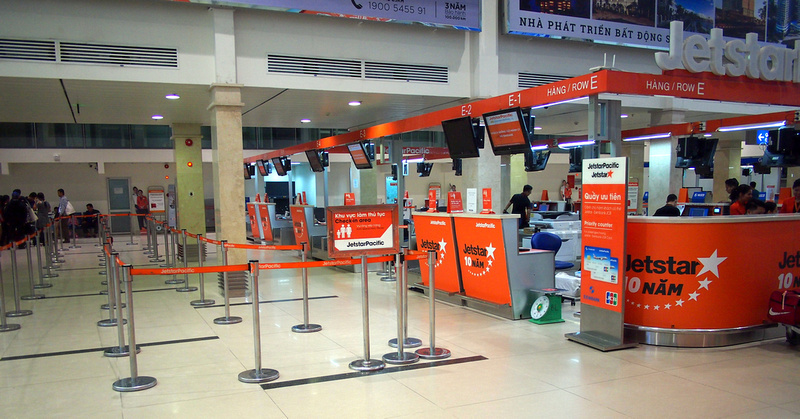 With SGN being a major hub for Jetstar Pacific, there are dedicated check-in desks and bag drops open all day. There was no one in line when I dropped my bag off. 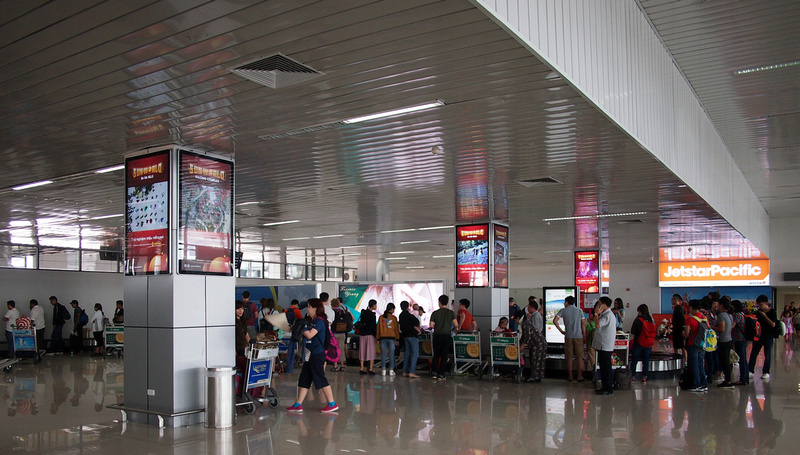 Tan Son Nhat International Airport (SGN) is the busiest airport in Vietnam, and it has long since outgrown its capacity. As a result not every flight will get an airbridge. There is a golf course next to the airport which is owned by the military. There have been talks of using it to expand the airport. You can see it here next to the runway. 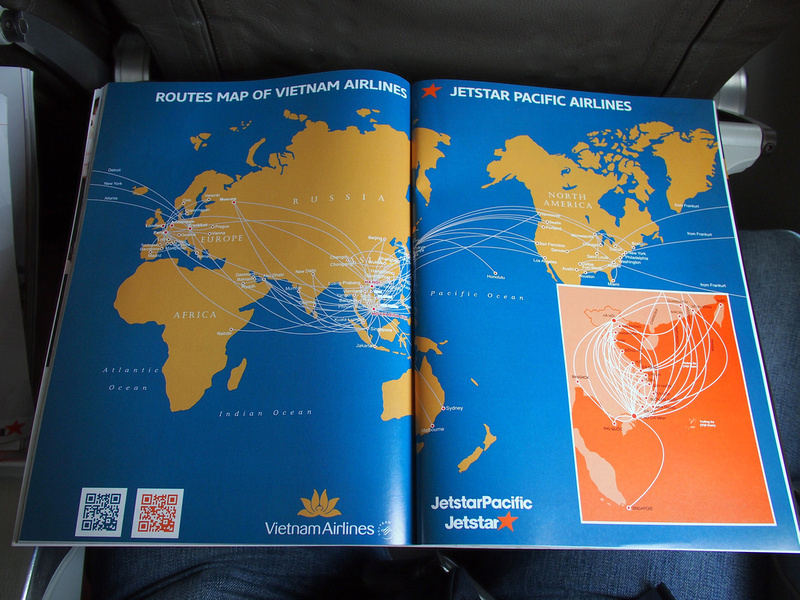 This flight was code-shared with Vietnam Airlines, which has a 70% stake in the airline. 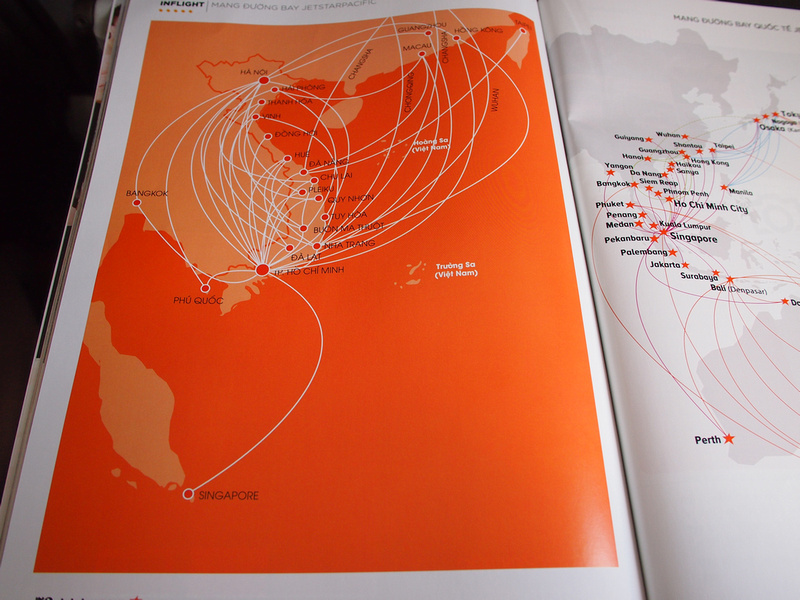 Jetstar was originally set up as a low cost airline by Qantas in Australia, which is a Oneworld alliance member. Vietnam Airlines is a member of Skyteam alliance, but you get no frequent flyer points for either alliance. 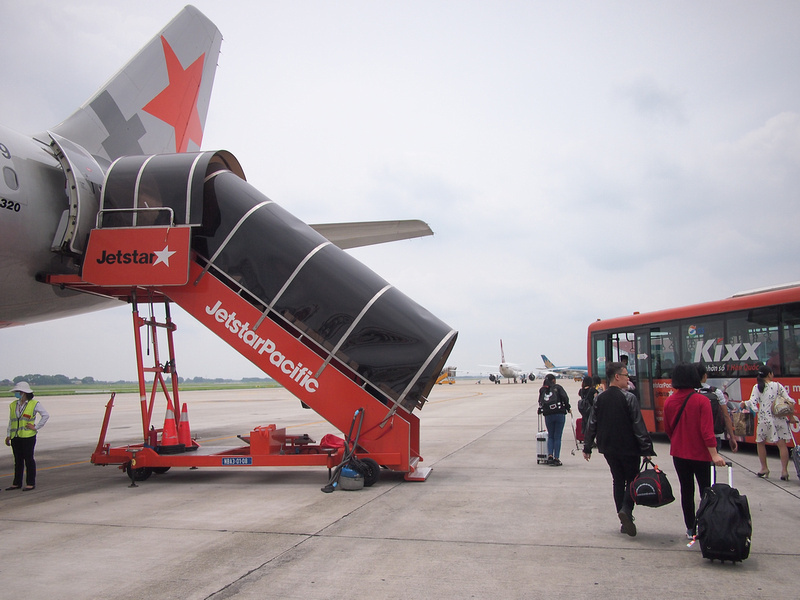 Jetstar Pacific also operates separately from Jetstar Asia (Singapore) Jetstar (Australia), and Jetstar Japan. 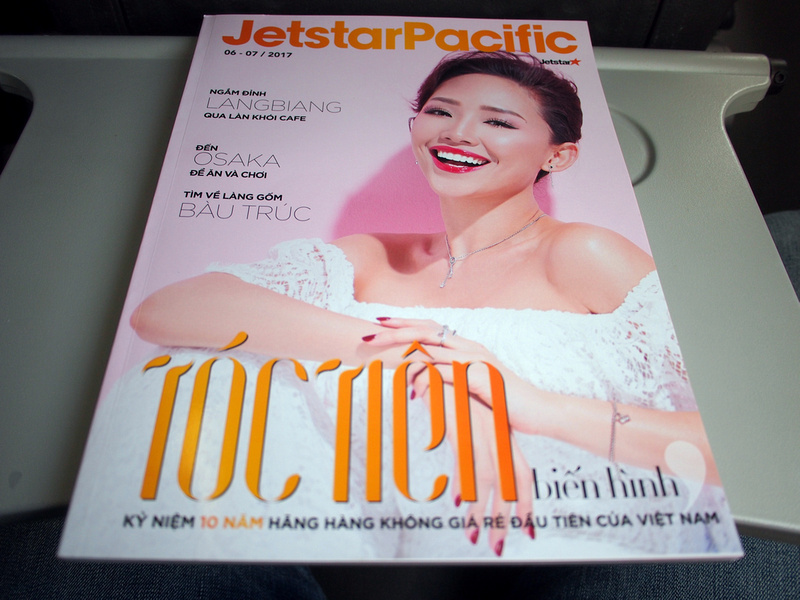 Jetstar Pacific magazine for 06-07 2017. There is no free meal or drinks service, so food and drinks are available for purchase. 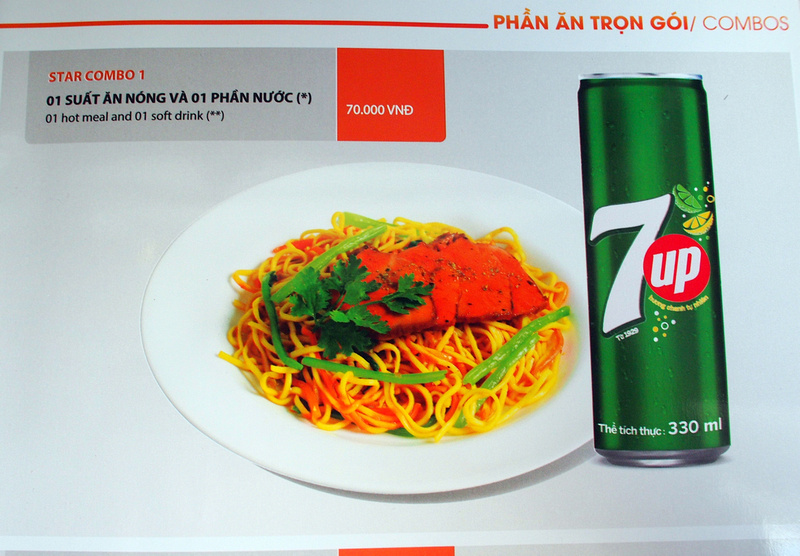 As an example a combo deal of a hot meal and drink is 70,000 VND ($3 USD). I went for an instant coffee for 20,000 VND. 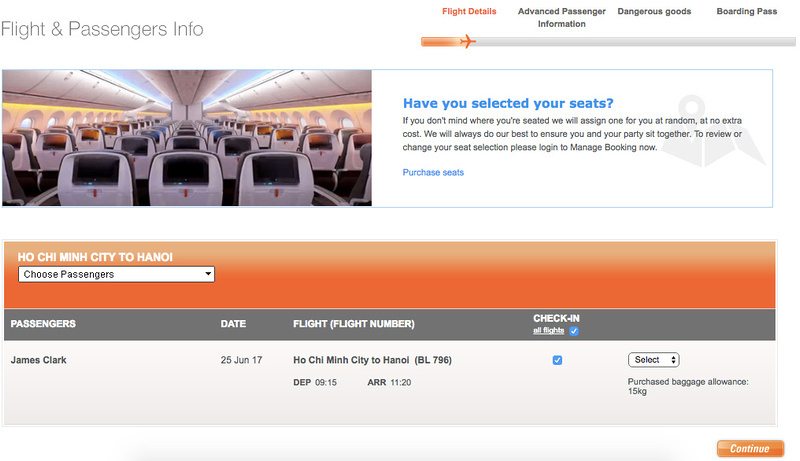 The flying time from Ho Chi Minh City to Hanoi is about 2 hours. About half way through the flight I noticed we were flying by Danang. Domestic airlines have to fly along the S-shaped coast of Vietnam, even though it would be quicker to cut across over Cambodia and Laos. There have been talks of opening up the Gold Route, which would shave 30 minutes off the flight. 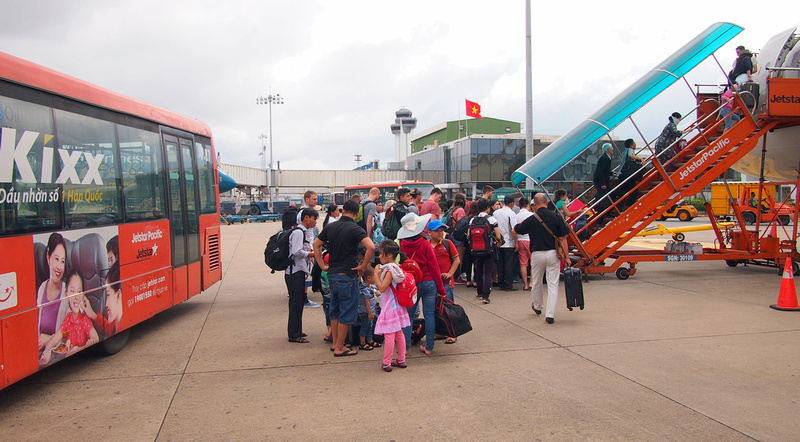 Hanoi has recently expanded it airport yet it is already getting close to capacity. To book-end this flight we had a tarmac disembarkation. The flight was on time and the bags arrived in a timely manner, so overall it was a good flight.